Have I ever mentioned that? This year, I’ve seen something AMAZING happen to my hubby. He’s been talking about Tim Tebow all season. This amazing quarterback, who by rights, shouldn’t be able to do what he’s been doing. Today, my hubby called up to share that Tebow had passed exactly 316 yards in this week’s amazing win over Pittsburgh. And this wonderful man I married even caught the meaning behind that. An avid sports fan, he understands how John 3:16 shows up all over the place in the wide world of sports. Those of you who know me know that I’m not going to spend 30.00 on something I can make just as easily. 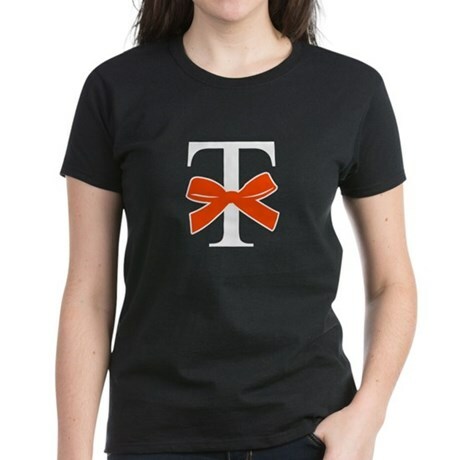 and adding an orange bow applique, in a slightly different than Cafe Press fashion. Yes, a little nuts. But, I’m happy to say that I’m inspired. I’ll show you mine ASAP! LOVE it. Girl, John 3.16. Can’t wait to see the tee. You may get orders from all over the country. Go Broncos. God bless Tim Tebow.